Eric first went to Uganda in 1995, leading a team of 17 scouts who went out to carry out renovations to Baden Powell House, the Uganda Scout HQ, in Kampala. He was immediately hooked on Uganda and has re-visited almost every year since undertaking a variety of different projects. In 2004 he led a small group of 8 who went out to paint the newly built schools at Kavule and Bukeka, and as a result of this trip Building Brighter Futures was born. From small acorns, oaks grow and it is Eric's inspirational leadership and enthusiasm that has encouraged others to join BBF. When not working on BBF or Scouting, Eric is a Health and Safety Trainer. and Founder member of BBF. Marie is married to Eric and has accompanied him on all the visits to Uganda. During 1999 they first visited Kavule when the deaf children were housed in just a small dwelling. At the time there were only 7 of them and they had to walk a long way to get water. As a result of that trip Marie began fund-raising to pay for repairs to the well which was beside the school. In 2000 those repairs were carried out which also benefited the surrounding community. Although it was several years before BBF was formed the relationship with the school had begun. As well as being secretary to the Trustees, Marie also organises the sponsorship scheme for both schools and this is making a huge difference to the lives of the children. Like Eric, Marie is also a trainer and teaches first aid. Michele, a former Speech Therapist, discovered Building Brighter Futures when her daughter, Genni, decided to volunteer for a year at two Deaf Schools in Uganda. 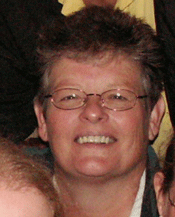 Michele joined the BBF Uganda 2010 party and worked in schools supported by the charity. Whilst there, she was able to visit Genni and her future son in law who are now living permanently near Kampala. Michele is now actively fund raising for the Kavule School when she is not busy with the family business. In August 2000 June and her husband David were part of a team of 12 UK Scouts and leaders who built the Bukeka school in a village outside Mityana. 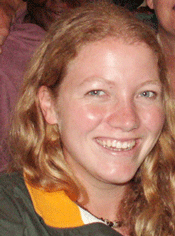 Her interest in the school has remained close to her heart and jumped at the opportunity to return there in 2006. Before going she, and a couple of friends, did a sponsored walk which raised over £1000 for Building Brighter Future's fundraising efforts. In 2008 she is planning to visit the school again. June and her husband have been very active in fund-raising and their input into BBF has been invaluable. Linda's first trip to Uganda was in 2006 when, as part of the group of 23, she visited both schools to carry out renovation work. As with most people, Linda was bowled over by the friendliness and hospitality of the Ugandan people and on her return decided she wanted to become more involved with BBF. 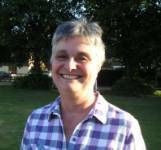 Linda became Treasurer, a job which had increased enormously since the charity started, but has now handed the job over to Jean Phipps. Linda's husband Philip also came on that trip and his aim now is to provide brass band instruments to Bukeka. At home Linda works in the family building business as well as volunteering at a local home for disabled people. 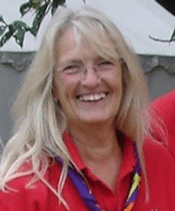 As a Scout Leader in 1995, Marion first visited Uganda as a member of a Surrey Scouts expedition to work on a project in Kampala, and this was a life changing experience which got her 'hooked' on Africa for evermore. She has supported and taken part in all the major expeditions since then. The experience gained through Scouting expeditions to Uganda over the past 12 years played a large part in the forming of BBF. Marion's daughter (Jane Stagg) lives permanently in America with her young family, and has joined BBF as the charity's webmaster. In August 2000 David was part of a team of 12 UK Scouts and Scout leaders who built the Bukeka children's centre and school in a village outside Mityana. David stayed in touch with the director of that school and started to support the school through BBF from the inception of the charity. 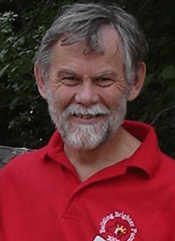 David is a member of the Scout Association and an Elder of his church. 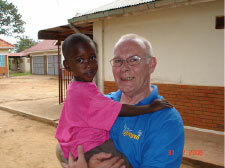 He has, through both those organisations, spread the word about the plight ot the children in Uganda. David and his wife June, have both visited Uganda at every opportunity and have been an integral part of the 2006, 2008 visits and are joining the 2010 trip to monitor the work that is ongoing at our two target schools. 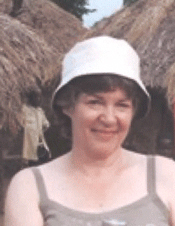 Jean, originally from the North East of England, spent several years living and working in South Africa. Some while after returning to England her husband's job brought her to Farnham where she worked as a Payroll Manager for 9 years. 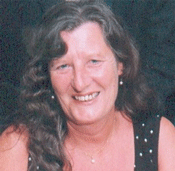 After retiring she learnt of the work being carried out by Building Brighter Futures. Now volunteering and working for the Citizens Advice Bureau, Jean is happy to use her skills to look after the finances of the Building Brighter Futures charity. Anna first joined us in Uganda in 2004 when just a small group of 8 visited Kavule and Bukeka to carry out some decoration work under the banner of 'Waverley Youth Action'. At that time Anna was a Cub Scout Leader in the Scout Association. Anna immediately became smitten by what she saw and experienced and with the other young people realised how much work there was to do and instigated the setting up of BBF. For the first year Anna was the Chairman of BBF but she relinquished that post upon renewing her studies to become a teacher. Anna now works in a school and in her spare time likes rowing, which she does competitively.